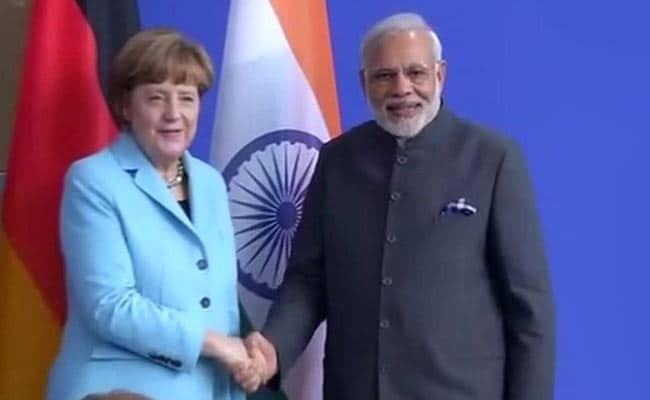 Prime Minister Narendra Modi, German chancellor Angela Merkel are issuing a joint statement in Berlin. Chancellor Merkel was generous with her time for me, my delegation and the CEOs of several Indian companies in Hannover. Today, my delegation and I have once again been heartily welcomed in Berlin.I also thank her for the very open, constructive and perceptive discussions on relations between India and Germany. This is a reflection of her deep concern for Germany’s interests and her commitment to India – Germany relations.Yesterday in Hannover, she accepted the invitation of India’s Lion to raise the level of Germany’s engagement in India and assured me of a strong response by Germany’s Eagle. I believe that there will be a strong partnership between the King of the Earth, Lion and the King of the Skies, the Eagle.